There’s an old saying that when it comes to your wedding day, guests will always remember two things – the dress and the cake. While you’re shopping around for the perfect wedding gown, make sure your cake is just as memorable by hiring the right cake designer. In New Jersey and New York City, many wedding venues will have a wedding cake option included as part of your booking. The wedding cake included with your meal package may either be created by an in-house pastry chef or contracted out to a large bakery. Many couples do not realize that you do have a choice as to who creates that sweet centerpiece of your reception. 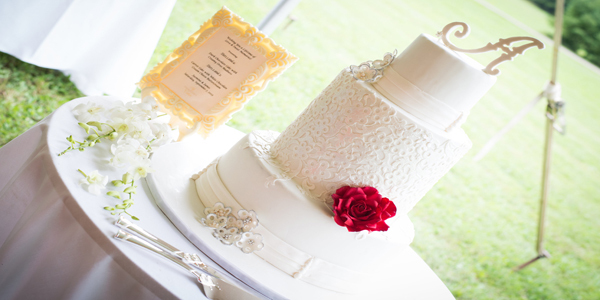 Here are five key reasons to hire a private custom cake designer for your big day. Private cake designers excel at what they do and have one thing in mind - creating the wedding cake of your dreams. They are focused solely on your custom cake creation. A large, generic bakery that services numerous venues may turn out well over a hundred wedding cakes every weekend - yours would be just one of them. Individual cake designers, however, are savvy about scheduling enough time to dedicate to each cake they produce. 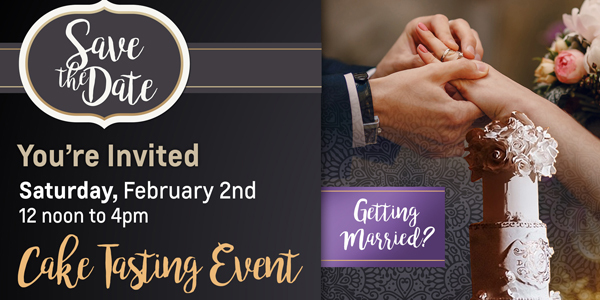 In other words, you won’t be competing with other brides and grooms for time and attention. 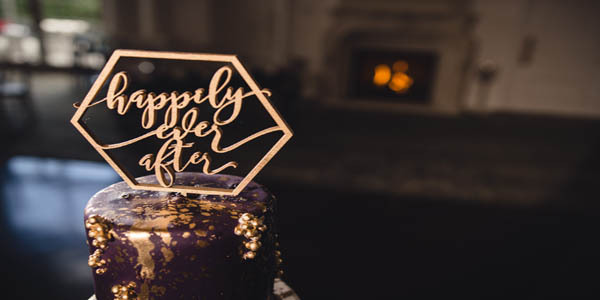 This allows for a level of communication and partnership between cake designers and their couples, which simply cannot be matched by in-house caterers or the large bakeries. For many couples, one of the best aspects of a wedding is being able to see their vision come to fruition. When you hire a wedding cake designer, you can collaborate and experience the entire design process from start to finish, taking time to tweak the design along the way. A quality cake designer isn’t just skilled at making pretty sugar flowers – they’re proper dessert chefs! As such, you can expect an array of unique and delectable flavors that go beyond the typical vanilla or chocolate options. How about a vanilla cake with a caramel chocolate pretzel twist, a white chocolate key lime cake, or a lemon almond cake with white chocolate buttercream? When you work with a private custom cake company, the flavor combinations are limitless. Your guests will thank you, too. Top cake designers are true artists. Consider the amount of time it takes to create handmade sugar flowers, and decorate a cake with intricate lace piping, hand painting, or stenciling. Only a private wedding cake shop can dedicate that many hours and that level of imagination to creating a wedding cake that stands out from the rest. 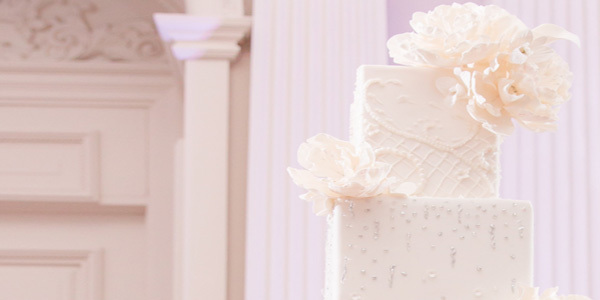 Whether you’re looking for an extravagant six-tier cake with cascading florals, or an elegant cake with piped embroidery details to match your wedding dress, a talented cake designer will make it happen. This is your wedding cake we’re talking about. Now is not the time to flip through a catalogue of 500 pre-designed cake options and pick one that dozens of other couples have ordered before. Unlike many in-house pastry chefs, a bespoke cake company can produce a completely original design that represents you and your tastes. Just as no two couples are the same, no two cakes are the same either. It’s all about quality over quantity, and you can’t beat the level of skill, service, and creativity you’ll receive from an artisan baker. Ready to dive into some of the best tasting wedding cake and plan a beautiful design? Schedule your consultation here.